With Windows Phone 7 right around the corner, is there anything you can do to prepare for the new Windows Phones? Windows Phone 7 will offer a lot of new features and capabilities and while we all will have a learning curve with the new system, there are a few things you can do to get a leg up on things. Three areas come to mind; Windows Live, Xbox Live, and Zune. Ease on past the break to see what you can do with Windows Live to prepare for Windows Phone 7. The most obvious thing you can do to get ready for Windows Phone 7 is to become familiar with Windows Live. If you don't have one, you really need to create a Windows Live ID. In doing so you won't have to abandoned your Google, Yahoo, or Exchange accounts but Windows Live puts you into a better position to make the most out of your Windows Phone. 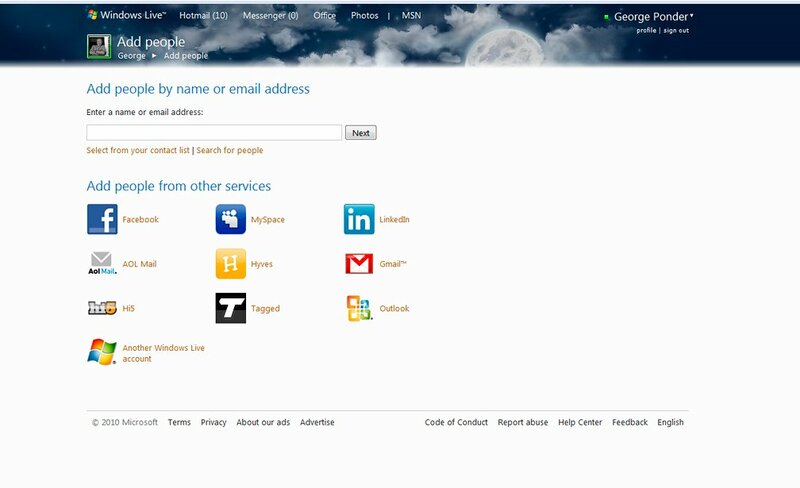 Through Windows Live Connected Services, you can tap into a wide array of online services and automatically add that content to Windows Phone 7. You have everything from social networks to RSS readers to photography sites. 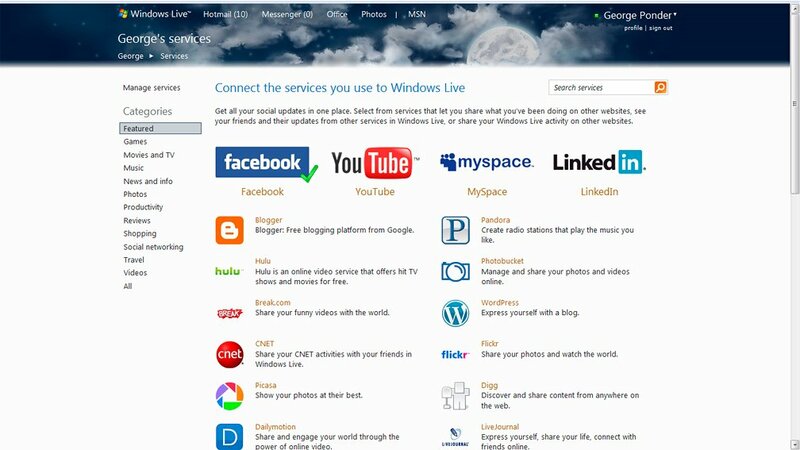 All these sites can feed into your Windows Phone 7. While you can continue to connect directly to alternative services (Google, Yahoo, etc.) with Windows Phone 7, Windows Live allows you to pull everything under one roof. You can import contacts and calendars as well as send and retrieve email from other accounts. Then in turn, access all this from your Windows Phone. There is one footnote with regards to importing contacts and calendars into Windows Live. Patience is key and I found importing via .CVS (for contacts) and .ICL (for calendars) works the best. Importing contacts seems to be far more frustrating than calendars because you have so many variations in fields (which never seem to match up 100% correct). You can import the contacts directly from other sources but I kept ending up with a dozen more contacts when the dust settled by using this method. You will still be able to pull email from other accounts, but Windows Phone 7 does not support a unified inbox. Just as with Windows Mobile, you'll have an inbox for each account. 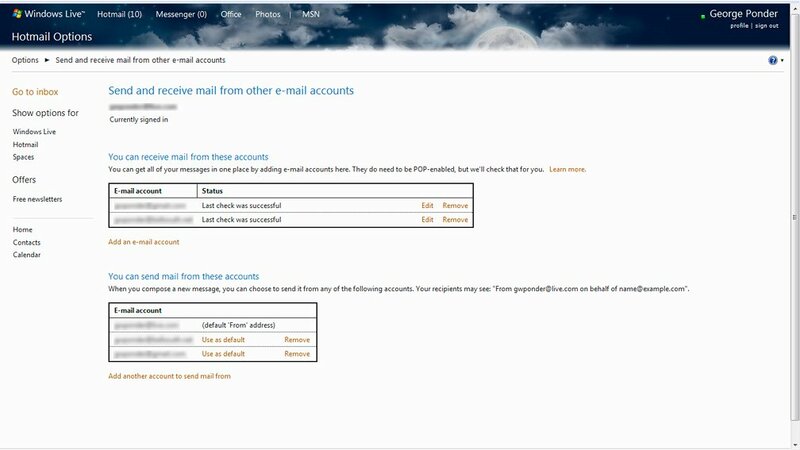 If you use Hotmail (also known as Live Mail) to pull from other accounts, you'll only have one inbox for multiple accounts. We'll have to wait and see if you can reply or send emails from these accounts (doubtful) with Windows Phone 7 as you can from your computer using Windows Live. You will also need to look at your calendars. Windows Phone 7 will have the ability to synchronize with multiple calendar accounts but will only sync with the primary calendar of each account. 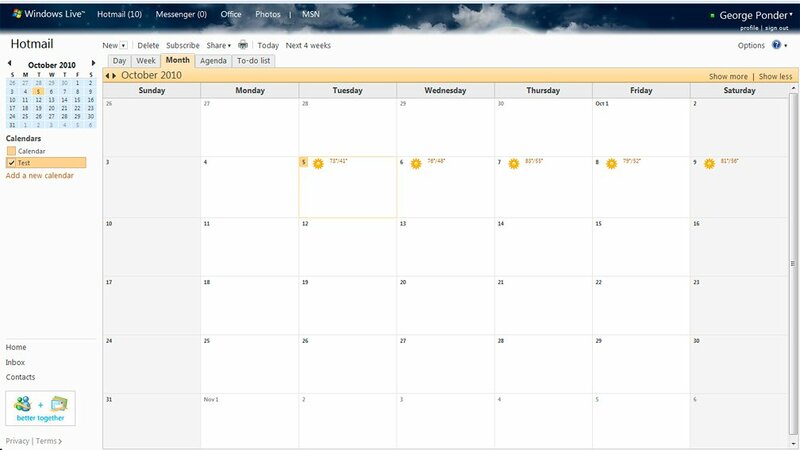 To access all your calendars you'll need to combine all your secondary calendars with your primary or create individual accounts for each calendar. Another preparatory step would be to become familiar with Windows Live Essentials. There are several aspects of Essentials that tie closely in with Windows Phone 7. 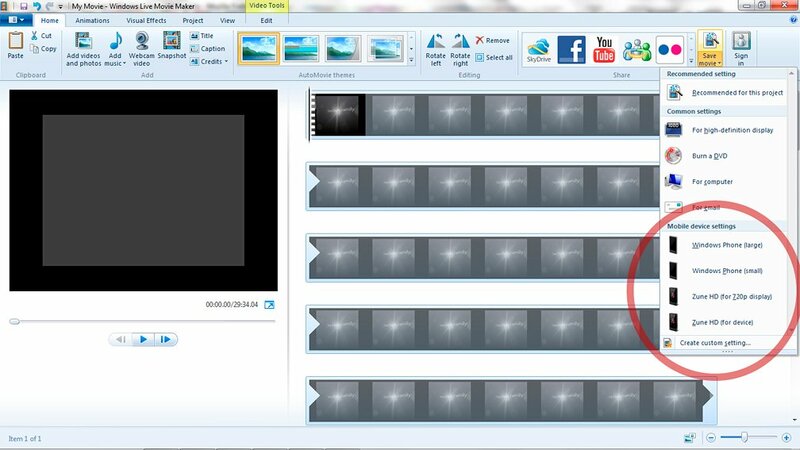 Windows Live Movie Maker has the ability to automatically format movies for Windows Phones. 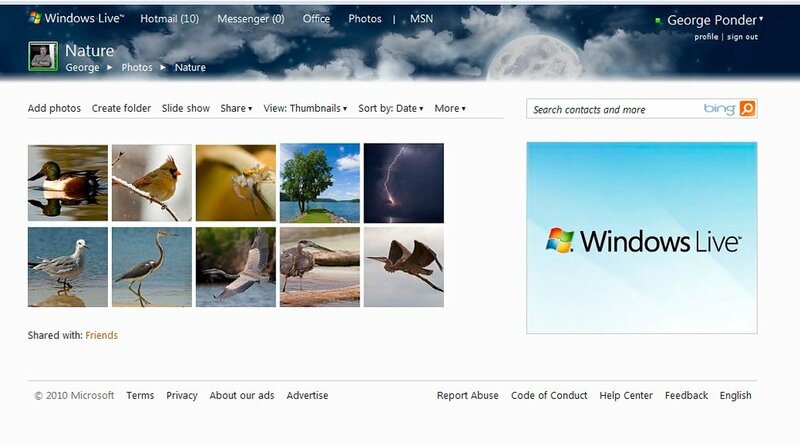 Windows Live Photo Gallery allows you to create photo galleries that can be stored on your Skydrive and accessed via your Windows Phone. Both Movie Maker and Photo Gallery have the ability to upload images and video to Flickr, Youtube, and Facebook as well. If you haven't downloaded Essentials 2011, it's worth doing and becoming familiar with. While you may opt to stick with Google or another alternative, Windows Live helps make the most of your Windows Phone. Windows Live has the potential to fit really well with Windows Phone 7. How well of a fit? We'll soon see. If you're looking for a way to prepare for Windows Phone 7, setting up and becoming familiar with Windows Live would be a good place to start.